Marine Diesel Engine Turbocharger Repair And Part Delivery. Propeller and propeller shaft Repair And Stern Tube Seals. Stabilizer Repair And Part Delivery. (Technical and Electronic repair). Bow Thruster Repairs And Spare Part Delivery. Cylinder heads, Liners And Pistons Overhaul and Spares. Diesel Engines Cranck shafts, Fans, Pump Impellers, Turbocharger Rotors And El. Motors Rotors Balancing. Fuel Injector And Pumps Repairs And Part Delivery. Infrared Photography Of Electrical And Mechanical Equipment. 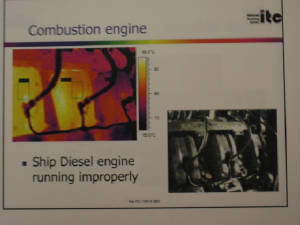 Marine Diesel Engine Repairs And Part Replacement. Most Mechanical And Structural Repairs. Electrical Motors Overhaul / Repair. Welding Pipes And Plate Work Repairs. Machine Lapping Of Copressor Valves And More.